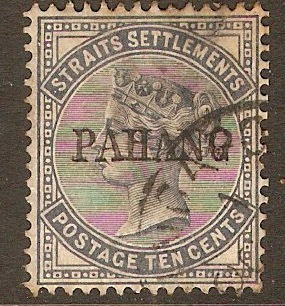 Pahang 1889 10c Slate. SG3. Used 1889 10c Slate. SG3. 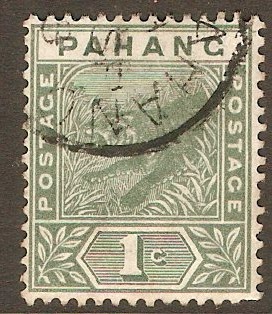 Pahang 1891 1c Green. SG11. Used 1891 1c Green. SG11. Fine used 1891 1c Green. SG11. 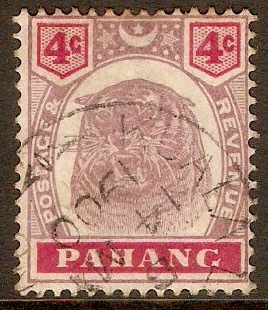 Pahang 1891 2c Rose. SG12. Used 1891 2c Rose. SG12. 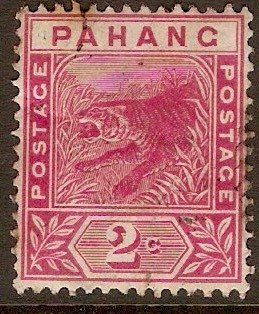 Pahang 1895 4c Dull purple and carmine. SG15. 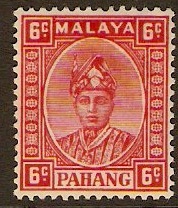 Fine used 1895 4c Dull purple and carmine. SG15. 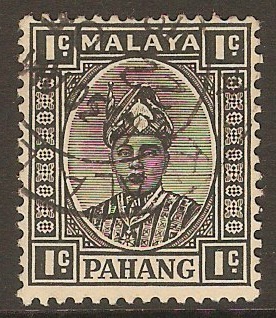 Pahang 1935 1c Black. SG29. 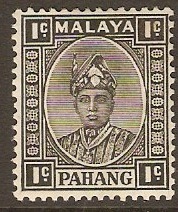 Mounted mint 1935 1c Black. SG29. Fine used 1935 1c Black. SG29. 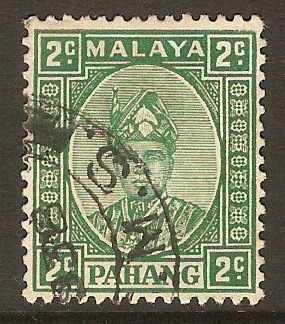 Pahang 1935 2c Green. SG30. Fine used 1935 2c Green. SG30. 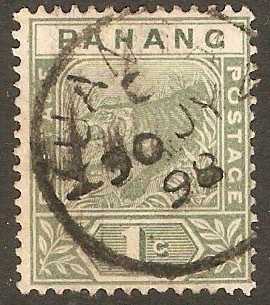 Pahang 1935 3c Green. SG31. 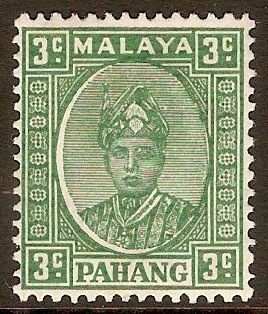 Mounted mint 1935 3c Green. SG31. 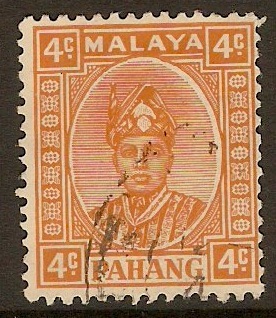 Pahang 1935 4c Orange. SG32. Fine used 1935 4c Orange. SG32.